The 2019 Outdoor Media Awards, run by Clear Channel in partnership with Campaign, are now open for entries. The Grand Prix campaign, chosen from the category winners, will receive £100,000 worth of media space to use across Clear Channel's UK screens. 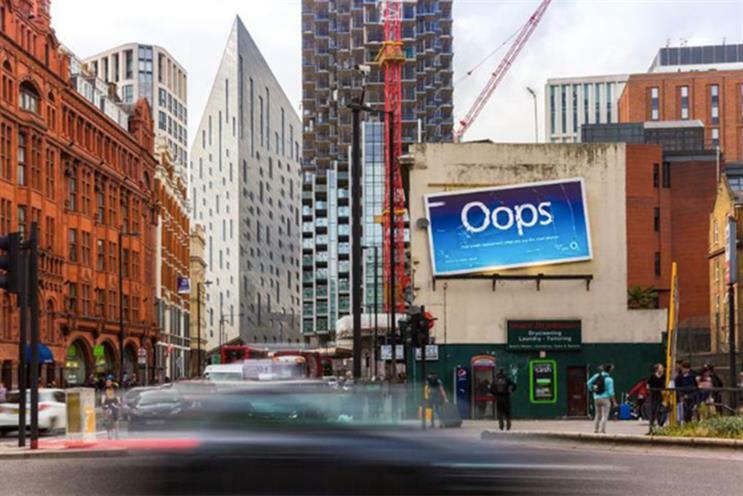 O2's "Oops" by Adcity, Posterscope, Havas Media and VCCP was the big winner in 2018, claiming the Grand Prix and both the Creativity and People’s Favourite awards, as well as being highly commended in the Multiple Format category. New for 2019 is a prize for a brand or organisation that has used out-of-home to make a real difference towards social good. The category is expected to evolve over the years, mirroring some of the challenges society faces and new technologies introduced. "Out-of-home is unique due to its very physical nature – it sits at the intersection between the public, local authorities and businesses," Chris Pelekanou, chief customer officer at Clear Channel, said. "We’re mindful of the impact we have in those spaces and it’s vital our actions bring real value." Entry is free of charge and open to any organisation, in any sector and any size (excluding the SME Award), that ran an OOH campaign in the UK in 2018. Eligible campaigns will have run between 1 January and 31 December 2018 (except The Brand Fame Award) and can be either a traditional or digital campaign. Entries will be judged by an industry panel, chaired by Campaign global edtor-in-chief Claire Beale, and winners will be celebrated at an evening ceremony at the St Pancras Renaissance Hotel on 11 June.